Peer Court is a unique juvenile crime diversion program that offers both a second chance to first-time juvenile offenders who have committed non-violent misdemeanors and a valuable educational experience to all high school students in Orange County. 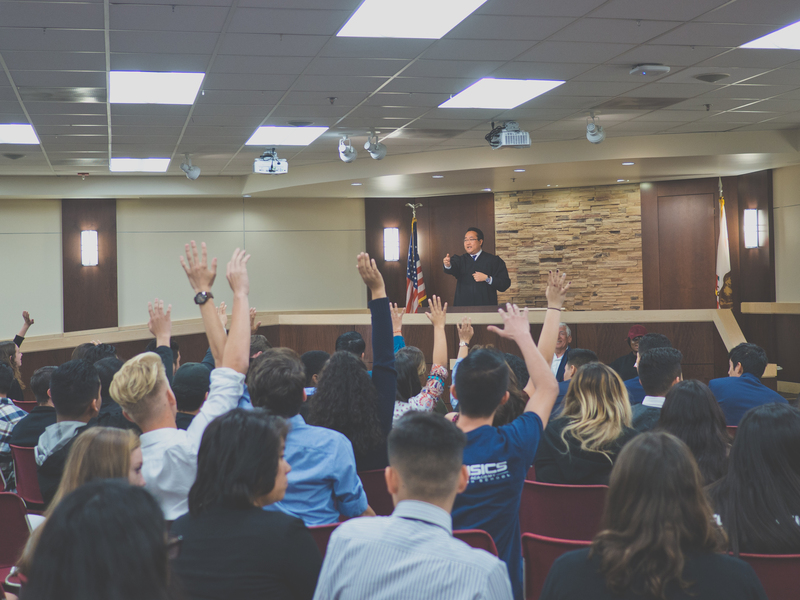 Peer Court sessions are held on school campuses across Orange County. Sitting judges preside, attorneys advise and high school students designated as “jurors” assess the cases presented and assign appropriate sanctions. Students in the audience observe and participate in an interactive curriculum, learning about the juvenile justice system and the importance of making responsible decisions. Volunteer judges and attorney advisors are needed at each Peer Court session. If you are a judge or attorney interested in volunteering, please contact CRF-OC staff. 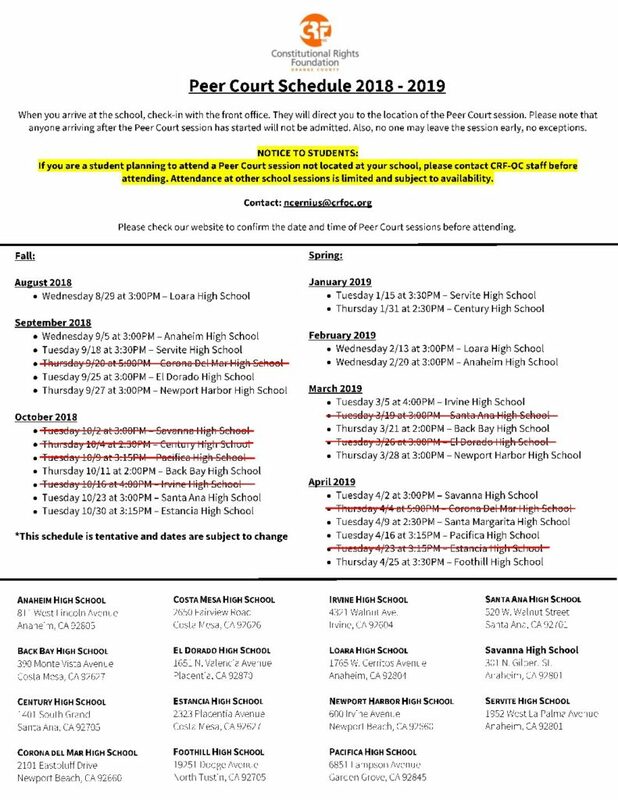 If your school is interested in participating in the Peer Court program, please contact CRF-OC staff. 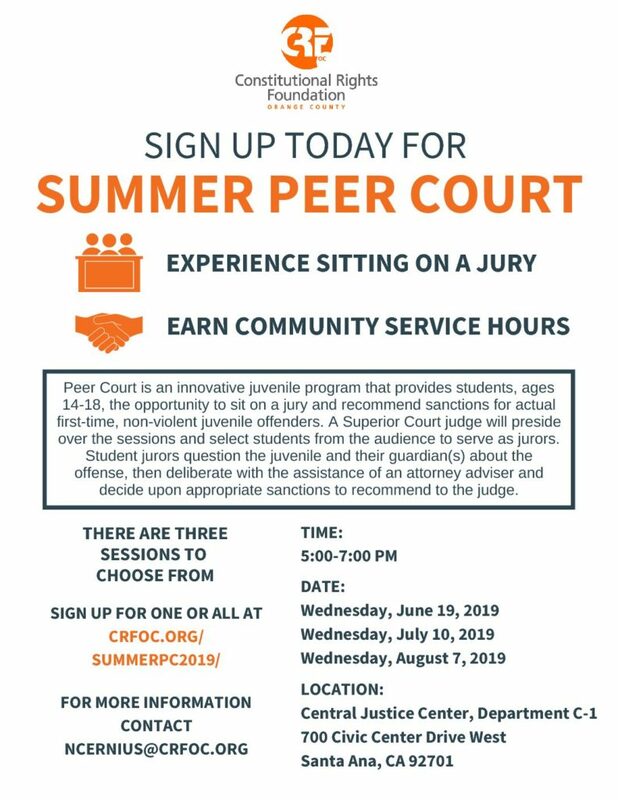 Students of schools that do not participate in the Peer Court program are welcome to attend any of our summer sessions. For sponsorship information, contact CRF-OC Executive Director Shara Witkin.